Krishna Janmastami is the auspicious day when Lord Krishna was born. This day is celebrated with high spirits, especially in Northern India. Various events are organized on this day to celebrate the birth of Kanha. 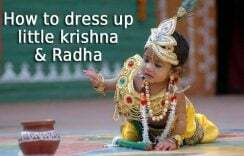 In 2018, Janmastami will be observed on 3rd September and children will be dressed beautifully as Krishna or Radha. Fancy dress competitions for kids are organized in different cities along with Ras Leela, Dahi Handi for adults. If you also wish to dress up your baby boys and girls on the festive occasion of Janmashtami 2018 then we bring to you some beautiful Lord Krishna costume ideas and Radha costume ideas for kids fancy dress. 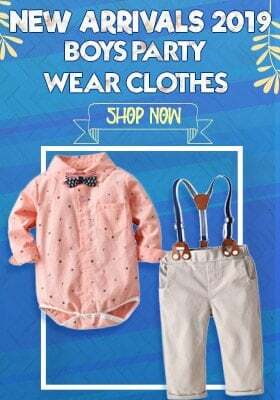 Cute Krishna dhoti and kurta set for babies is one of the most popular choices of baby Krishna dress for online shopping. 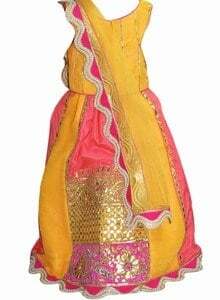 Designed in festive colours like tangerine orange, yellow and red, its make a perfect traditional Indian attire for little babies to dress pretty for Janmashtami. 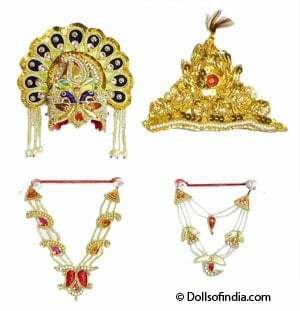 Don’t forget to pick matching accessories for Krishna costume which include jewelry including kundals, bangles etc. which match perfectly with their Lord Krishna costumes. Add some nitty-gritty to their look with these lovely accessories which make their look award winning. 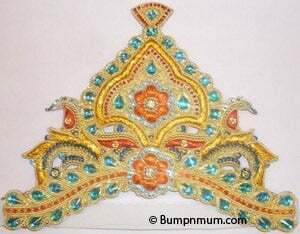 Crown your baby like Kanha with sparkling little crowns made with love for baby Krishnas in India. These crows are beautiful replication of those worn by Krishna and look amazingly gorgeous thereby adding more festive look to the complete look. 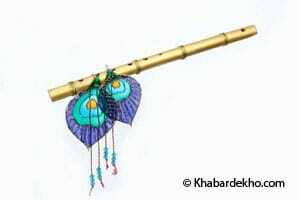 The look of Kanha is incomplete without a flute. 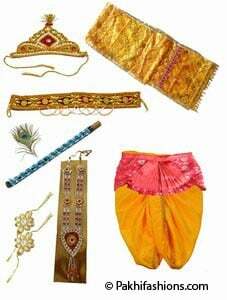 Therefore, make sure that you include a bansuri in the Janmashtami costume of your baby Krishna. You can always have it put in his kamar bandh so that it stays in place and ensures perfect Kanha look for your baby. Don’t forget to make your little one wear some jewelry because even Krishna used to dress up with some jewels including earrings, armlets, bangles, necklace etc. Include any of these accessories while dressing up your baby boys and baby girls as these jewelry pieces will make it a flawless look. If you wish to dress your baby girl as Radha then the best dress for this look is a pair of Lehenga Choli. There are various kinds of Kids Lehenga & Ghagra Choli in beautiful festive colours. Some even come with a chunni to help you have an attractive baby Radha dressed up gorgeous for Janmashtami celebrations. Your Radha will not look like one until you include some sparkling jewelry to dress her. 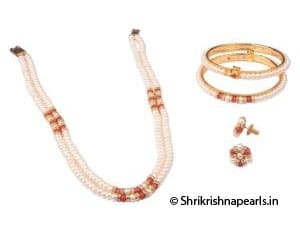 Don’t forget to have matching bangles, necklace and earrings added to her look. She will win all hearts with cute ornaments that will promise her the best look. 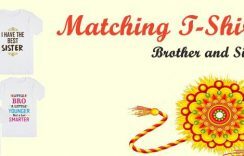 If you wish to keep it simple then there is nothing better than personalized t-shirts for kids designed especially for Janmashtami. 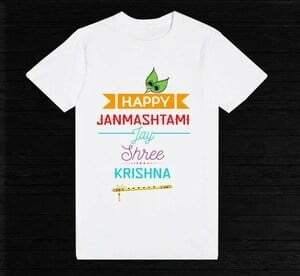 Printed with images related with Kanha and his birthday, these customized Happy Janmashtami t-shirts make a wonderful wear for children. 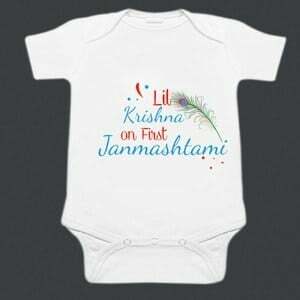 Make it a memorable and marvelous festive occasion with First Janmashtami baby rompers for your little Kanhas and Radhas made with love. Beautiful prints and lovely colours ensure a comfortable fit and celebrate this pious occasion in a wonderful way. At PinkBlueIndia, we customize these adorable Krishna and Radha dresses for babies, just the way you like it so that you don’t have to make any compromises. 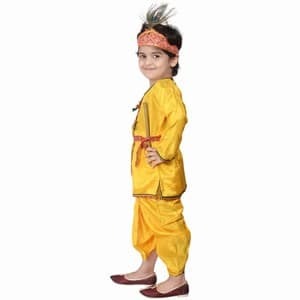 So get ready to have your babies dressed in beautiful baby Krishna dresses and Radha costumes for fancy dress competitions by shopping online with us.